Custom Photo Jewelry by jYOUlry, where the jewel is YOU! Elements Collection - AIR - "With your love I can dance on the wind like a butterfly" featuring a Customized Photo Pendant in the center. A customizable gift that will be cherished forever, the jYOUlry photo pendant is a fantastic keepsake, whether you’re purchasing it for yourself or as a thoughtful present. 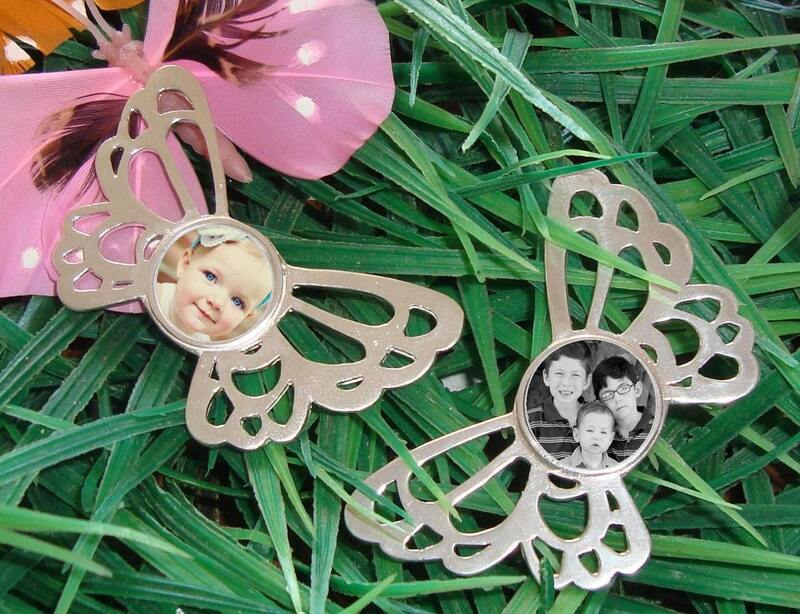 Pendants are .925 sterling silver and are personalized with any photo or image of your choice. These lovely pendants are part of my new Elements Collection. They are unique to jYOUlry and are trademark pending! Whether you choose a photo of your children, spouse, remembered loved one or friend, this pendant is sure to become a treasured heirloom. Each pendant measures approximately 1.5" x 2.5", and the photo area measures 20mm. After placing your order, you may email your photo or image to info [!at] jYOUlry.com Photos are placed under a clear, durable resin coating that is both waterproof and scratch proof. The resulting pendant is one that will last for many years. For more (important!) information, please see my shop policies page: http://www.etsy.com/shop_policy.php?user_id=9569147 And of course, please feel free to contact me with any questions!